The ICC Champions Trophy 2017, on its tour across the world, is all set to reach Karachi on Wednesday, March 29. The trophy will tour Edhi Homes, Mohatta Palace and Karachi University on Thursday, March 30 where fans will be welcome to come along, see the trophy and get their pictures taken. 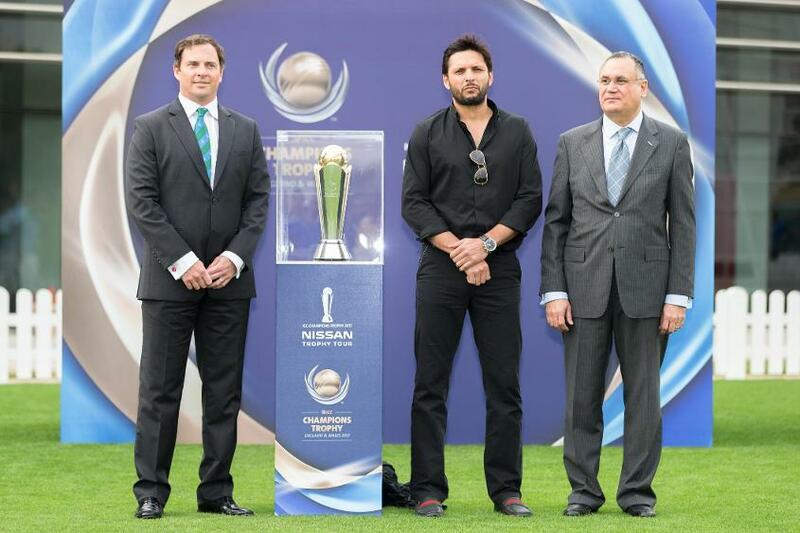 The trophy tour kicked off on February 21 at the ICC Academy, Dubai, where former Pakistan captain and all-rounder Shahid Afridi participated in its launching ceremony. The trophy has since been touring different cities around the world. Karachi will be the trophy’s seventh stop, after which it will be on its way to Johannesburg and other places, before finally arriving at its destination: England. The ICC Champions Trophy 2017 starts from June 1 with the first clash between England and Bangladesh at The Oval.